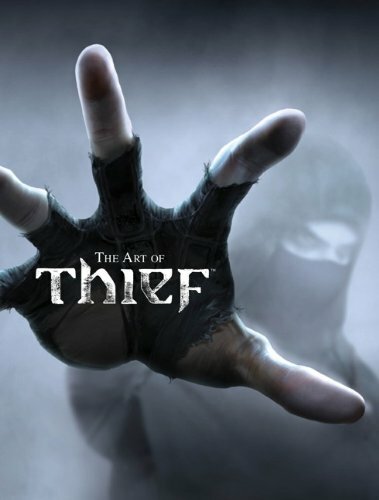 The Art of Thief I suppose is an artbook that will appeal more to fans of the game than the more general audience. I know some people like to collect video game artbooks because the artworks are usually great. The art for Thief is a bit different. The art is good. There are lots of detailed artworks for character designs, storyboards, props and loot, weapons and environments. The layout is nice, pictures are big and clear. There are also commentary from the creators. Garrett's the main guy so you get to see him up close, the face, the strings-buckles everywhere clothes, bow and different arrow heads and his moves. Other characters are covered quite well also. Most of the environment art I think are drawn or rendered quite big, then scaled down for publication so the results are rather detailed artworks. Quite a few seems to be digital paint over 3D models, but they are done exceptionally well to capture the lighting and mood. The main thing about this artbook is the extremely bleak setting, which reminds me of of the game Dark Souls. Everything feels grim. The colour palette is generally black, blue and some brown. It's always cloudy, hazy. The town is constantly shrouded in dim lighting. The atmosphere is art directed very well. Overall, it's a pretty good artbook, just that the overall bleakness may or may not be to your liking.